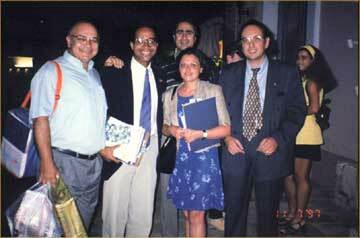 The 5th IASL Congress has successfully taken place in Nafplion, Greece, on July 10-12, 1997 dealt with the general topic: "Sports Activities - European Community Law and International Implications". The proceedings of the Congress are included in D. Panagiotopoulos (ed.) 1997, "Sports and European Community Law - International Implications". The Findings of the Congress included in IASL Bulletin Information II.